BAYADA Habilitation Technician Ashley Pruitt engages in therapeutic play with her client Jada, who has autism. BAYADA Habilitation, a BAYADA Home Health Care specialty practice, has developed an innovative, career development program for ambitious, caring individuals interested in working with the intellectual and developmentally disabled population. This program, called REACH (Reaching, Excelling, Achieving, and Committing to Habilitation) provides a fast-track path for those with one year of experience to join BAYADA as a habilitation technician and grow into a leadership or management role. BAYADA Habilitation, a BAYADA Home Health Care specialty practice, was recently awarded reaccreditation for the third time from the Commission on Accreditation of Rehabilitation Facilities (CARF). BAYADA Habilitation earned its first CARF accreditation in 2009, then again in 2112. BAYADA Habilitation helps individuals with intellectual and developmental disabilities to live safely at home and participate in their communities with comfort, independence, and dignity. 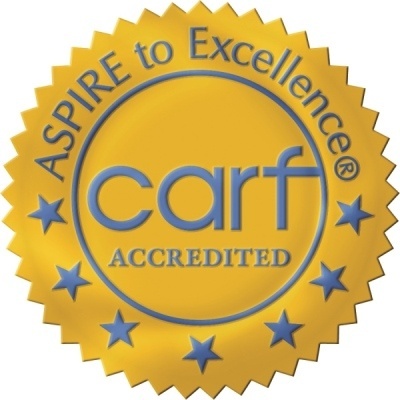 The CARF accreditation was awarded to habilitation offices in Charlotte, Greensboro, Hickory, Shelby, Wilmington, and Winston Salem in N.C. and to the Hazelton office in P.A.